Great food, great spot, great times! Hot Rocks Restaurant and Cocktail Bar enjoys a prestigious location next to Bournemouth Pier. With flavours inspired by coastal cuisine from around the world, diners can enjoy freshly prepared food made from wholesome ingredients, all whilst taking in the breath-taking views of the surrounding beaches. The Ocean View Restaurant caters for every taste, with highly trained chefs serving up fresh, honest and generously portioned dishes that are well worth waiting for. Our outdoor deck is covered and heated (when it needs to be!) and is the perfect place to enjoy a Coffee Aloha or an ice-cold drink. In the summer months look out for the fireworks display at the Pier or one of the numerous shows at the nearby Bournemouth International Centre. 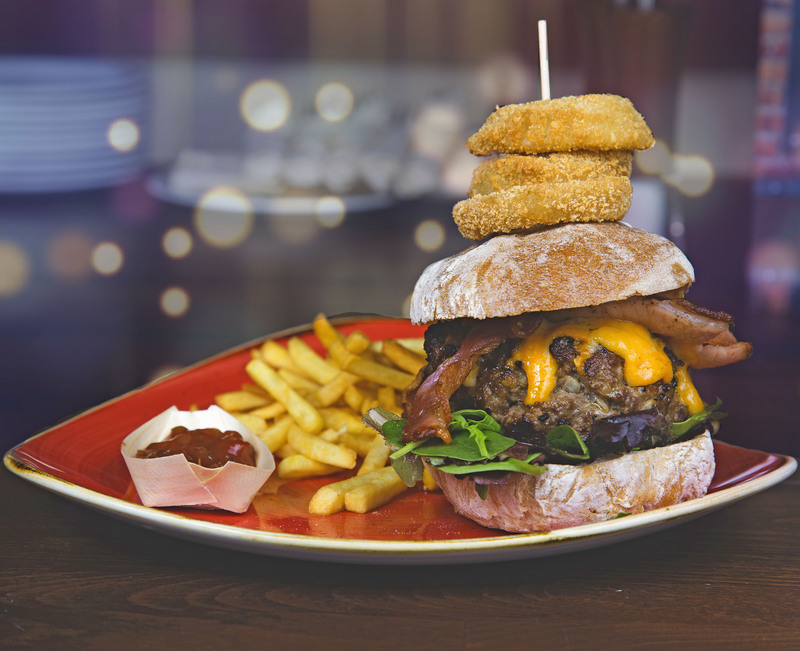 Take a look at our range of menus to suit all appetites. Take a peek at what's on offer at Hot Rocks. Home of the Big Kahuna Burger! Fresh fish, tender steaks, huge racks of juicy ribs, Thai curries, chillies, Cajun chicken, pasta and salads are just a few of the specialities accompanied by a daily specials board. Not to mention the infamous Big Kahuna - a home made 10oz burger!